StepUp is made from inserting textile in to aluminium retainer. Installed on the ﬂoor with ramps on all four sides. Unlike conventional "use and throw" matting, only inserts need to be changed after its useful life making the system cheaper than the conventional matting. Available in multiple ofl feet in length and width up to maximum of 10 feet on each side. 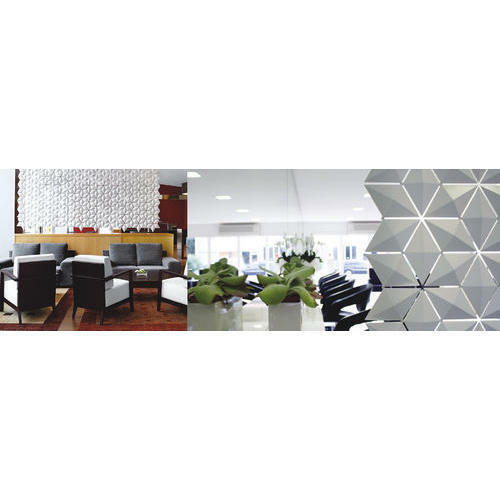 Established in the year 1995 at Delhi, we, Annapurna Interiors Decorators & Furnitures are leading and paramount Manufacture, wholesaler, Service provider, Exporter of Wooden Flooring, Laminate Flooring, Vinyl Flooring, Carpet Tiles, Window Blinds, Aluminum Profiles, Engineered Wood, Wooden Flooring Pieces, Machine Tufted Carpets, Brazilian Flooring etc. These products are acquired from the world claworld-classvendors of the market. Known for weather resistance and Coarse textured, these are used in many wooden applications like boats making, furniture making etc. They are termite proof and very sleek in design. Our products are checked and tartan against many parameters by quality controllers to confirm global standards. These wooden products are available in many specifications and stipulations as per the details laid by the patrons. Smooth finish, sturdy design, cost effective rates and durability are few of the many factors that make these products highly appreciated among our customers.